You can step back in time with a visit to Virginia&apos;s Blue Ridge, according to an article recently published in The Gulf Today. The piece is titled "Back In Time" and was written by Luiane Lee, who visited the region as part of a media tour hosted by Visit Virginia&apos;s Blue Ridge. The article incorporates many authentic experiences, attractions and businesses in the area that can make for a great vacation. 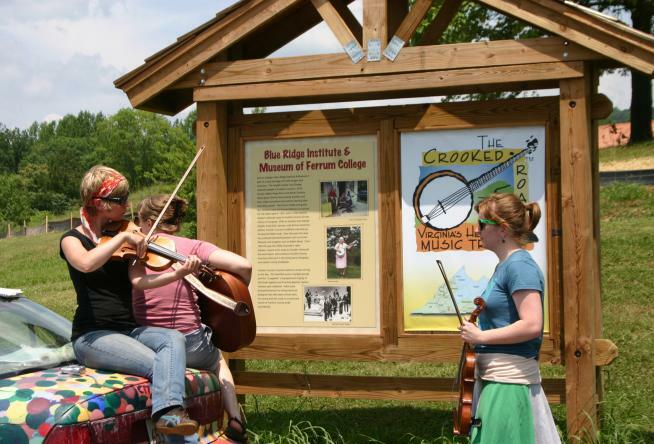 Highlights include The Crooked Road: Virginia&apos;s Heritage Music Trail, Blue Ridge Institute & Museum, Ikenberry Orchards, the Historic Town of Fincastle and much more. "You don’t have to pop into Doctor Who’s phone booth or hitch a ride in Doc’s DeLorean to experience time travel today. A visit to Virginia’s Blue Ridge Mountains can take you back to a simpler time when the stirrings of country music bounced off log cabin walls and Indian footpaths beckoned Lewis and Clark. 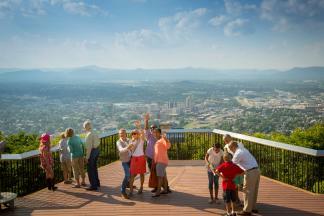 With the city of Roanoke as your hub, there are all kinds of sites to explore. Head south on the Blue Ridge Parkway, 469 miles of pristine landscape unblemished by billboards and gas stations." Click here to see the complete article on The Gulf Today website. According to its website, The Gulf Today is an English daily newspaper based in the United Arab Emirates. The article is the latest in an example of the worldwide exposure Virginia&apos;s Blue Ridge receives as part of Visit VBR&apos;s Public Relations program!